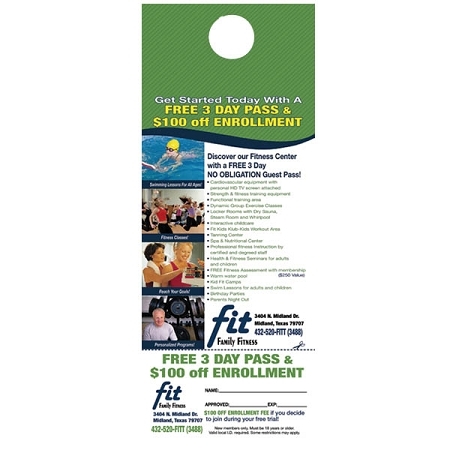 Door Hangers size 4 1/4" x 11" full color two sided gloss cover (heavy weight) with aqueous coat. Design Fee is included in the cost. Email your logo and changes to: info@leadbox.com. jpeg or pdf, psd tif, eps, doc are preferred. Turn around time approx. 1-2 weeks, plus shipping time. Must Order in Quantities Specified. Other sizes and higher quantities, design options available. Call for a quote. 3. Once we received all your info, we will email you a proof for approval within 1-2 business days.